Split Aces is a term used in blackjack, whereby you split the Aces and 8’s. Split Aces Casino is aptly named, and you can expect many casino games besides blackjack including other table games, slot machines and video poker games. Established in 2018, and operated Alpha Interactive Solutions, Split Aces is a secure betting site with high-end security and encryption software that protects the casino operations. With a licence issued in the jurisdiction of Curacao, Split Aces Casino has a stylish interface and cosmic, magical appearance. 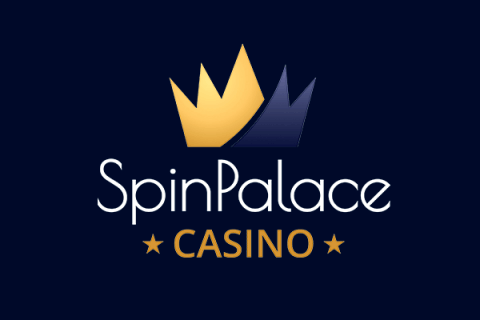 This Split Aces Casino review looks into all the offers, substantial welcome bonus, a massive game collection and a mobile platform with games optimised accordingly. Customer support works efficiently with several communication methods and a multilingual team on call 24/7. Split Aces Casino serves up a vertical paradise of bonuses and ongoing promotions. Starting off on the right footing, the welcome bonus is a 200% match up, with a withdrawal limit of €1000. 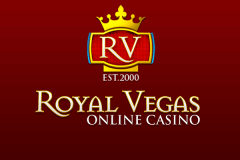 Slots count 100% towards the rollover requirements, and other games contribute 10%. The wagering requirements are 20x, and for players from Lebanon, UK, and Greece they are 40x. You also receive 20 Free Spins upon signing up. After you use up the welcome bonus, there are several other bonuses you can claim. Upon signing up, you will be prompted to choose a banking method. If you find your account using Neteller, Skrill, or PostePay, you gain a 15% Payment Method Bonus, match up to €500 in addition to the standard welcome bonus. Customer service offers players a free bonus after you earn 1000 comp points before cashing out every €10 of bonus winnings, up to €100. Split Aces Casino also has a value-adding VIP program whereby you earn comp points as you wager, and the scheme has four levels, silver, gold, platinum, and black. Every €10 wagered gains a point and the exchange rate improves as you climb up the VIP tiers. The games are available via a web-based, instant play platform which loads up through your browser, and you can play most games on your mobile device. There are slots of all kinds, card and table games along with a brilliant live dealer casino. You get a real choice of every type of online casino game. The slots section is the largest and most impressive, and the games serve up multiple themes which are immersive and atmospheric. If you prefer a more traditional casino game, you can expect loads of classic table games. There are several variants of Roulette, Baccarat, and Blackjack with different table limits to suit all players. Split Aces also offers a handful of Video Poker games in single and multi-hand. These games have high-quality visuals and a superb gaming environment. Mobile gaming is a viable alternative, and many of the games are optimised for mobile play. You can use Android, iPhone, iPad, or Windows, and the games are compatible with their respective operating systems. Being one of the best online mobile casinos Split Aces Casino brings all the action right to your mobile device. Playing on your smartphone, or tablet is convenient, and you can play anywhere there is a WiFi connection. You have access to customer support and specific banking options for mobile. There is also a high level of security and privacy so you can enjoy the games with peace of mind. Split Aces Casino has a great range of international banking methods for depositing and withdrawing funds. They include Visa and MasterCard credit/debit cards, Skrill, Neteller, a bank transfer and bitcoins. For New Zealand players we also recommend to try casino Paysafe deposit method. There is a minimum deposit required of €20, and minimum withdrawal of €100. There is a monthly withdrawal cap of €5,000. Withdrawal times a resonantly fast and depend on the service provider. There is a standard 5 days pending time. For e-Wallets it is just 24 hours, credit and debit cards – 20 days (including POLi pay casino method), and a bank transfer – 5 days. Bitcoin withdrawals are processed almost immediately. You get a sense of fairness and security at Split Aces. Besides a stylish site design, the foundations seem to be firmly in place with an excellent customer support service ready to assist with any questions. Like all reliable new casinos Split Aves committed to responsible gambling with a section on the website providing useful information and advice. You can contact customer support via live chat, the telephone, or email, with the service available 24 hours a day, apart from the phone, which is operated during limited hours. Split Aces is a reliable, safe and fair casino with lucrative bonuses and great casino games. Signing up is easy and straightforward, so you are just a few clicks away from an exceptional online casino experience at Split Aces.